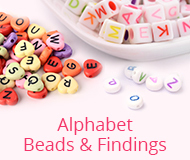 There is no doubt that beads are among the most acceptable fashion items out there today. People have always been intrigued and attracted to beads in their original art form. Especially the Swarovski crystal beads, which are crafted in Austria with the highest standard of quality and are considered the finest products of their kind in the world, had gained a lot of popularity over the years. All the Swarovski crystal beads have got endless shapes, sizes, styles, colors and finishes of stunning Austrian crystals. So that jewelry designers and craft makers dream to use Swarovski crystal beads for making fine jewelries. However, Swarovski Crystal beads are especially for the premium class of customers and they are bit expensive. For pure crafts lovers and jewelry business people, Swarovski crystals are so expensive; jewelry designers who own or start to do their jewelry business could not afford to buy a large amount of Swarovski beads. Where to find good quality Swarovski crystal beads with cheap price is an urgent problem they eagerly want to know. Here I will highly recommend Pandahall crystal beads which are quite similar to Swarovski crystal beads. Pandahall crystal beads are also used the same technique of precision-cut of Austrian crystal, which got the same glossiness and cutting face. All the Pandahall crystal beads are available in a variety of colors, shapes and sizes that they can be used directly for jewelry beading, sewing and wire work. So that if you can’t afford to purchase Swarovski beads, go and choose Pandahall crystal beads; you will get unexpected surprises and highly reduce your cost. Pandahall crystal beads surpass Swarovski beads in several aspects, now we will introduce some similar Swarovski crystal beads, Swarovski pendants, Swarovski jewelry and other similar Swarovski crystal items to you for reference. Hope you can enjoy them. 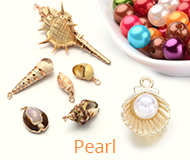 The subtle and fantastic jewelry is the symbol of the passion and fashion, and young. Nowadays, the Swarovski jewelry has been placed among the most cherished fashion world. Girls are dreaming to wear a set of Swarovski jewelry for earning more attention from others. However, not everyone can afford to these little bit expensive Swarovski jewelry. Fortunately, Pandahall provides wide choices of Pandahall crystal jewelry with the same glossiness and cutting face as Swarovski jewelry. I will show some similar Swarovski jewelry to you to evaluate. Luxurious and dynamic, the Pandahall crystal beads compare favourably with Swarovski crystal beads, which display a spectacular asymmetric cut in perfect accordance with the rising popularity of irregular angular forms. Crystal bicone beads and crystal heart beads are favored by our customer. Pandahall provides huge selections of Pandahall crystal pendants which are precision faceted and top drilled. Compared to the price, Pandahall crystal pendants are much cheaper than Swarovski crystal pendants with the same beautiful and continue to add to the fashion design can create a series of decorations. You can match it with earrings, necklaces and so on. 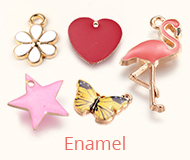 Apart from Pandahall crystal jewelry, beads and pendants, Pandahall also offers other similar Swarovski crystals, which are in different designs and patterns to showcase their beauty by using our wonderful imagination. Where to Find Gift Bags for Your Giving Gifts?